Shahab Karmely’s KAR Properties arrived on the South Florida scene with a series of big, all-cash purchases, spending more than $112 million buying up parcels along the Miami River and in Hallandale Beach and Wynwood. The acquisitions led many to ask: How exactly was Karmely pulling it off? Karmely refused to name his financial partner, whom he nonetheless boasted was “affiliated with one of the most significant hedge funds in the world.” A fair description. That backer, The Real Deal has learned, is Daniel Loeb, the billionaire investor who runs one of the world’s most prominent activist hedge funds, Third Point LLC. Loeb, whose net worth Forbes pegs at $2.9 billion, has $15 billion in assets under management, according to the publication. Karmely declined to comment on the partner’s identity, and a representative for Loeb did not respond to requests for comment. KAR’s current projects include One River Point, a 60-story luxury condo on the Miami River designed by architect Rafael Viñoly. It is also seeking approval for a yacht club and restaurant near One River Point, and planning an oceanfront development in Hallandale. Karmely said he continues “to be aggressive in the market” and is in the process of negotiating for another downtown Miami property. 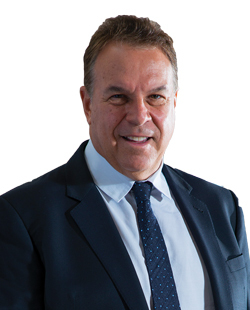 Billionaire Jeff Greene has closed on a bulk $24.7 million purchase at the Whitney condo building in West Palm Beach. Greene bought 139 units, including 10 commercial condos, at the eight-story, 210-unit condo at 410 Evernia Street, financing the deal with a $17 million mortgage from Bank of America. Greene told The Real Deal the purchase includes about 20 penthouses that were never finished. He plans to spend up to $40,000 per penthouse, which comes out to about $800,000. The seller is USO Norge Whitney LLC, led by Paul Elliott of New York. Greene is also securing approvals for a 12-story, 348-unit micro apartment building on the southeast corner of Banyan Boulevard and Rosemary Avenue. The investor and developer owns more than 75 acres of land in West Palm Beach and has plans to build several new high-rises, thousands of residential units, a hotel, a 30-story office building and a raft of retail space. Greystar paid $19.5 million for an office building in downtown Fort Lauderdale and has plans to develop a high-rise rental tower on the site. The 1.92-acre property, at 790 East Broward Boulevard, encompasses three parcels, including a nearly 26,000-square-foot building, parking lot and five-lane drive-through teller. The seller, Fort Lauderdale-based Stiles Corp., was represented by Cushman & Wakefield’s Robert Given and Zachary Sackley. Given said that Greystone’s interest in other nearby projects meant that they were able to negotiate a direct deal between the two parties before going to market. Records show Stiles bought the property for $44,900 in 1969. 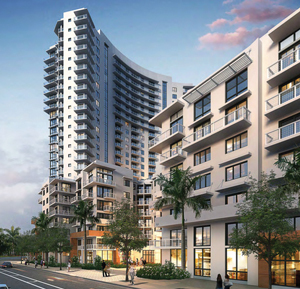 The city of Fort Lauderdale recently approved the site for a 25-story residential development with 329 apartments and 6,871 square feet of ground-floor retail space. Construction will begin as soon as Greystar can relocate Chase Bank, the building’s main tenant, to a new location. This is the latest in a string of projects in the area. Nearby, 30-story luxury apartment building Amaray Las Olas was recently completed and put on the market. Also close to the site, the Related Group is building Icon Las Olas and the Kolter Group is planning a 45-story mixed-use condo tower.